Galaxy S8 and S8+ have a revolutionary design. Something different from other Smartphone screen. A biggest and most immersive screen of Galaxy Smartphone provides immense pleasure to its owner. Easy to hold in hand and will not be irritable to operate. Top Picture Quality Produced By Rear And Front Camera Of S8 And Plus. The company has provided significant features in this phone. It is a smooth, continuous surface with no bumps or angles. The camera of this Smartphone will capture your life moment as it happens. Camera Quality And Personal Security Features. Galaxy S8 lashed with 12MP rear and 8MP front camera. Picture quality is very good in all respect and efficient to capture the moment in day or night both. Features of the Smartphone provide great security for its users. Maintain privacy, they used effective mechanisms to prevent unwanted snooping. 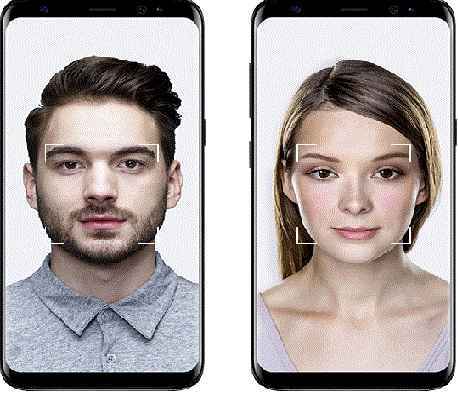 They are using Iris scanning technology for the protection of users data. Iris scan technology work on user individual identity. Only read your saving data that means - recognize face, fingerprint, pattern, password. The phone will be unlocked by these recognition techniques. If you use it. Chip-level security layers work at hardware and software. Phone Battery Capacity And Advancement. Galaxy S8 is driven by the 10nm processor to fast, powerful and increase battery efficiency and IP68 will help you to work on it in dust and rain. The smart switch helps to transfer your data from old to new Galaxy S8 and S8+. Price Of Smartphone S8 And S8+. Price of this phone is Rs. 64900/- (INR). Delivery starts on 2nd May 2017. Book or purchase your New Samsung Galaxy S8 and S8+ Smartphone today to avail more quality and advanced features.